Retaining walls can add beauty to a landscape, enhance the value of a property and retain slopes to create usable, level ground. For stability, all retaining walls should be constructed with the thickness equal to one half of the wall’s overall height and should be built leaning back toward the slope about 2 inches per foot of height. For walls taller than 2½ feet, the use of bonding stones and installation of a drainage system are necessary for long-term stability. Bonding stones stabilize a wall and connect it to the slope that’s being retained. Drainage is critical, as hydraulic pressure can cause a wall to fail. For walls of any size, landscape fabric is necessary to stop soil from washing through the wall, creating erosion above and behind it. Before beginning construction, it’s important to calculate the amount of materials needed. 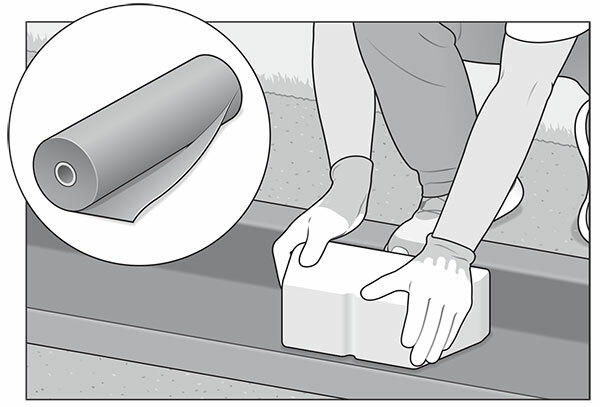 For stone, determine the length, width and height of the wall in feet. Average the width and the height if they are not consistent. Multiply the length, width and height to get the cubic footage. There are about 15 cubic feet in one ton of stone, so the next step is to divide the cubic footage of your wall by 15 to determine the quantity of stone needed in tons. For landscape fabric, take the height of the wall, add 1.5 feet, then multiply that figure by the length of the wall to attain the square footage needed. 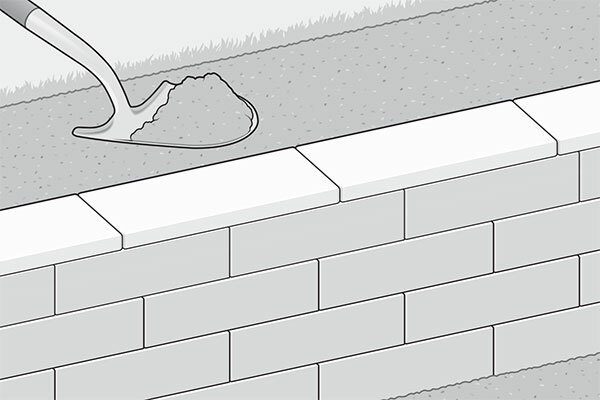 Follow these steps to properly install a retaining wall. Dig a level-bottomed trench wide enough for the base stones to fit into. 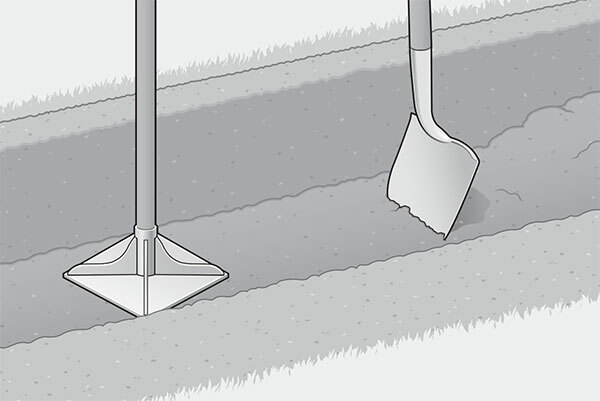 Compact the bottom of the trench with a hand tamper. Lay landscape fabric in the trench. Lay the base stones tightly together, covering the fabric to hold it in place. Ensure the foundation is level and stable by using shim stones and backfill to fill in voids and level individual stones. Start the wall’s second layer using a staggered pattern. 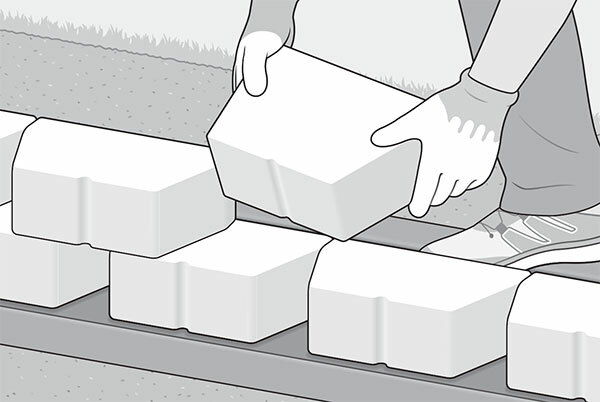 Apply an adhesive to the bottom blocks and firmly lay the next layer of blocks on top. Continue this process until the retaining wall reaches your preferred height. Make sure the wall is level. Fold the landscape fabric over the top of the wall, trimming off any excess. Install the cap stones tightly with adhesive to hold down and hide the landscape fabric. Download a PDF version of this page from the magazine to use as a training tool for your team here.